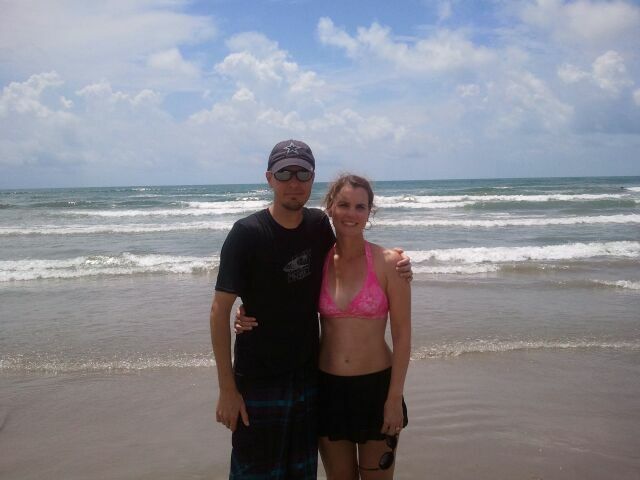 It’s been a few days since we’ve been back from our beach trip to Port Aransas, TX and I miss it like crazy! I did feel tired when we arrived home, but more so than that, I felt refreshed. What a nice feeling that was! Usually when we get home from a vacation I have that ‘I need a vacation from my vacation’ feeling, but not so much this time. 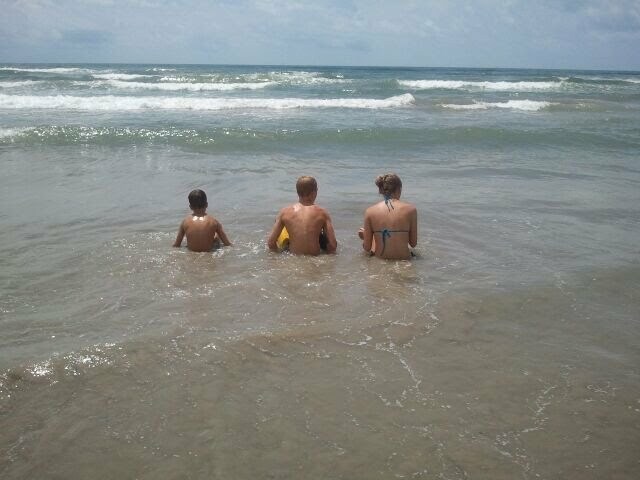 I grew up going to Port Aransas just about every summer as a child and now that we live in Texas close to family, I am loving sharing this place with my kids. 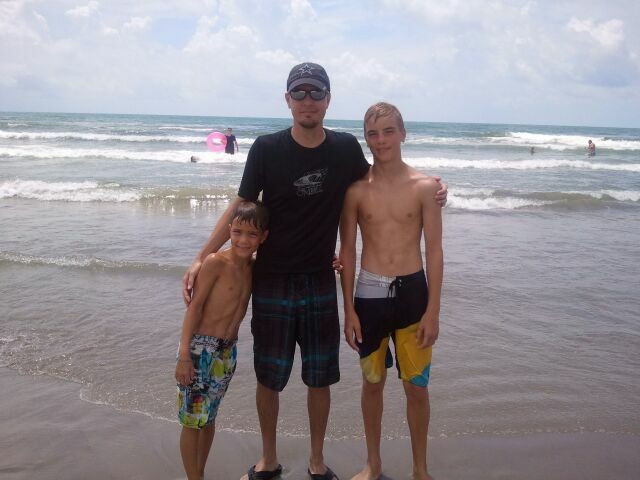 They’ve fallen in love with Port A and are already talking about going back next year. 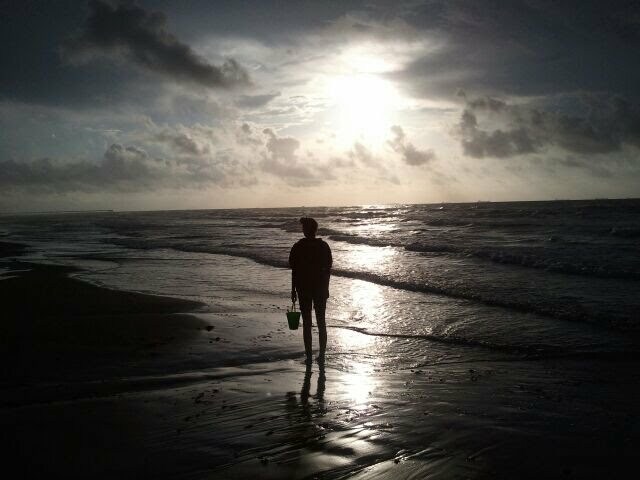 Went to the beach, a lot – we woke up early every morning to *almost* catch the sunrise and went back to the beach in the evenings to catch the sunset. 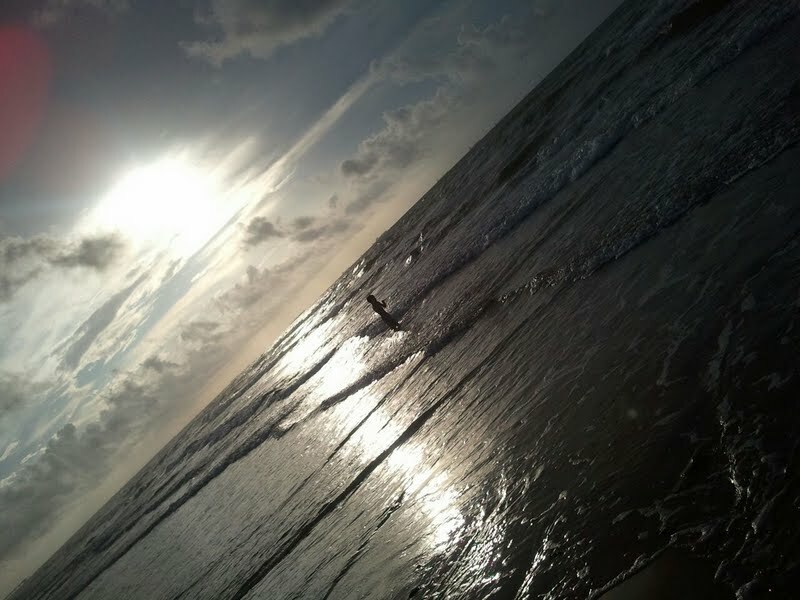 Here are a couple of sunset shots and the family at the beach. 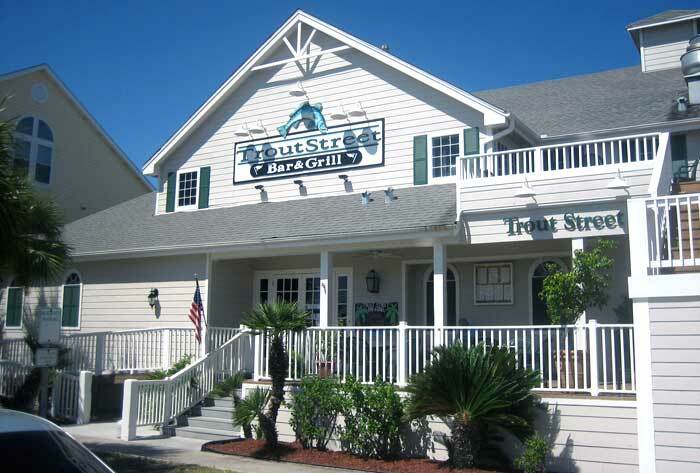 We also had dinner at one of our favorite spots – Trout Street Bar and Grill . 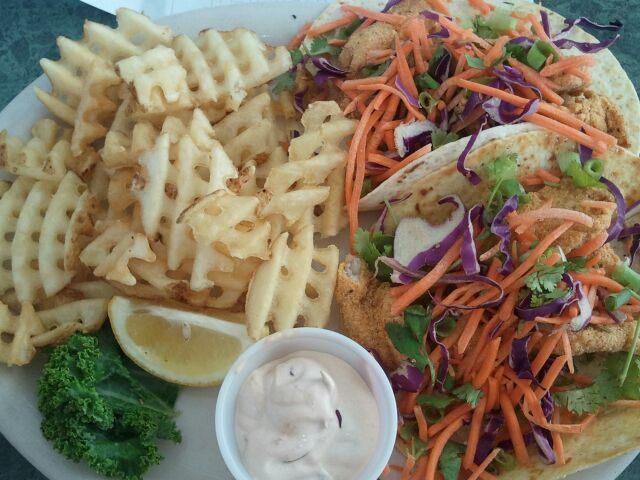 I had the fish tacos topped with Asian cole slaw and waffle fries on the side. Yummy. 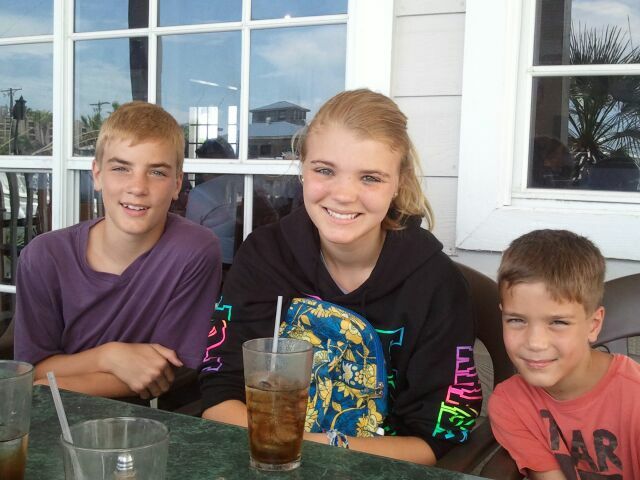 Todd had their crab cake and clam chowder and Josiah had their catch of the day. All delicious! The other two had a chicken sandwich and a cheeseburger.Yep, they’re not fish eaters. We also did some souvenir shopping, which is always a must. 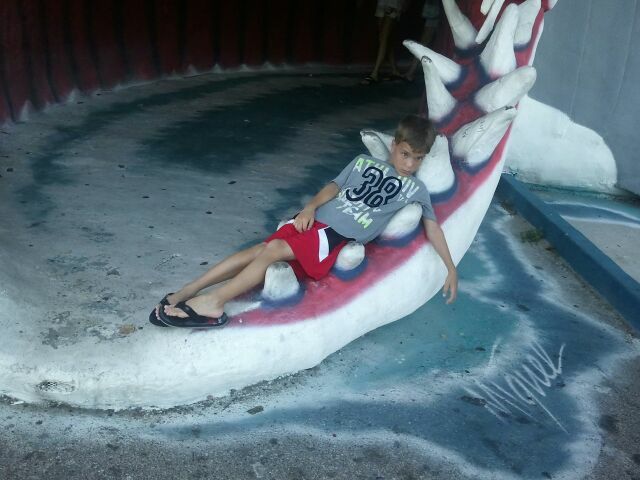 We usually hit up The Islander, the big yellow building you can’t miss, and several other fun shops. 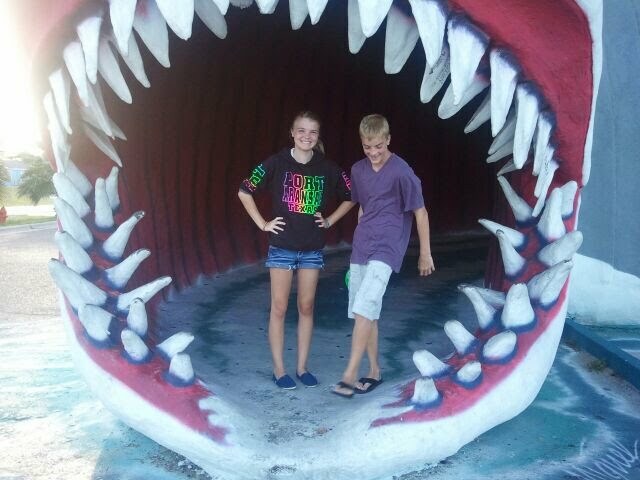 Another must visit, the shark. 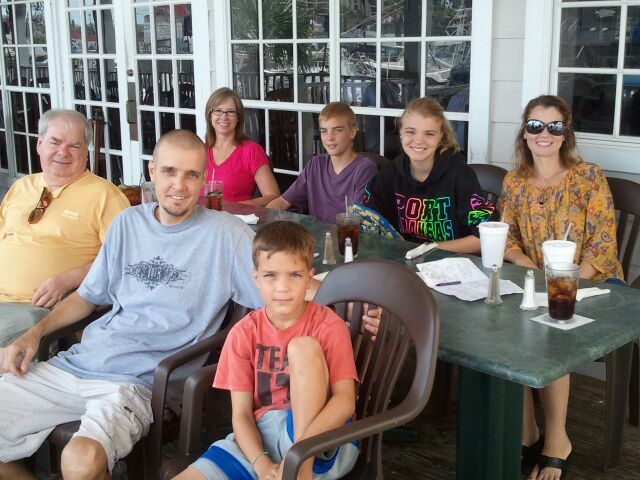 One of the highlights of our trip was breakfast at Bundy’s. Oh. my. goodness. It’s located at 112 E White St right beside Souvenir City. I can’t find a website for them, but I’ve heard they’re a favorite of the locals. I can see why. Between the breakfast food and their amazing coffee drinks, we were hooked! I also caught a glimpse of their lunch menu and it sounded amazing. My older son had their biscuits and gravy (or B&G), our other two had their sweet roll and hashbrowns and since my husband and I don’t eat gluten, we had their scrambled egg and hashbrown plate. Just delicious! On a side note, we were also sitting at a table next to the mayor of Austin, Lee Leffingwell, and his wife. They were enjoying a nice peaceful meal, so we didn’t bother them. On our way out of town Sunday morning, guess what we did? Yep, stopped and grabbed a coffee at Bundy’s. 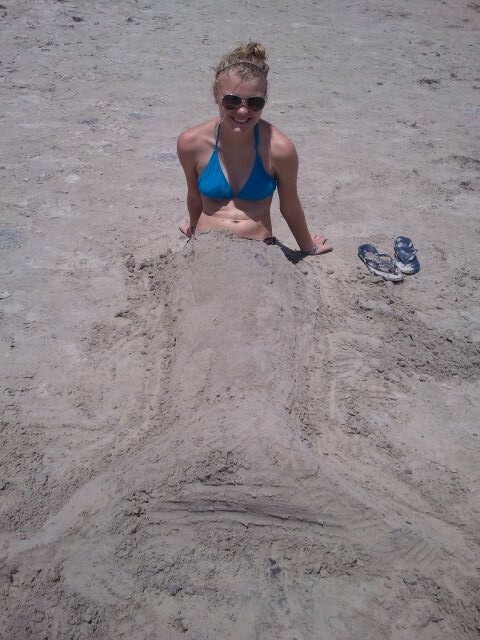 Have you ever been to Port Aransas? 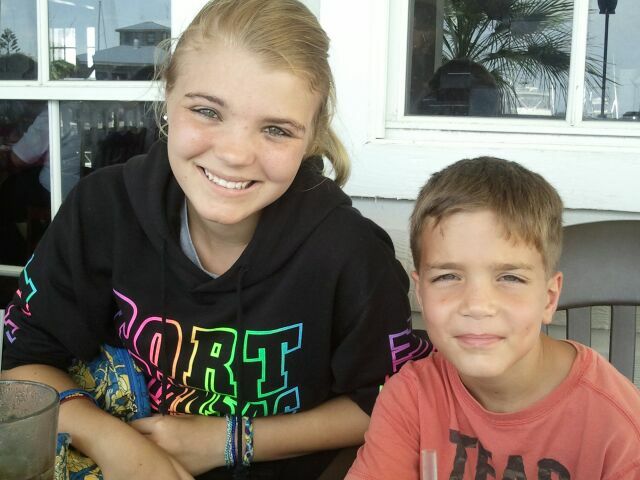 It’s such a fun little beach town and I absolutely look forward to going back again. Here’s to next year’s trip! 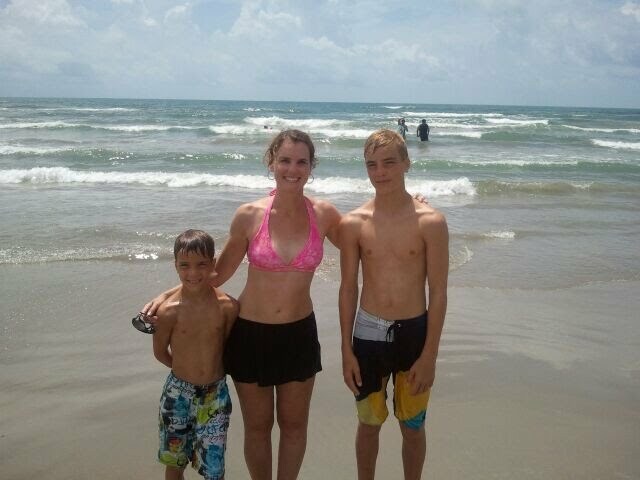 I was looking for blogs about Port Aransas to share on our site and I came across your post…If you’re open to it, shoot me an email at jane(at)dwellable(dot)com. Where did you find to stay? Which part of PA were you in? I have a family of six and dog, very intrested. 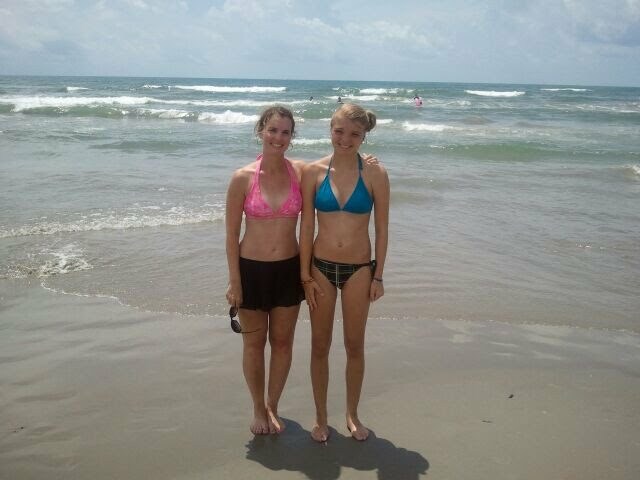 I’m not exactly sure which part of PA, but we stayed at the Sandhill Townhomes. Although we found out they’re not renting the units anymore. Which makes me sad! We’ve stayed there for several years and loved them.